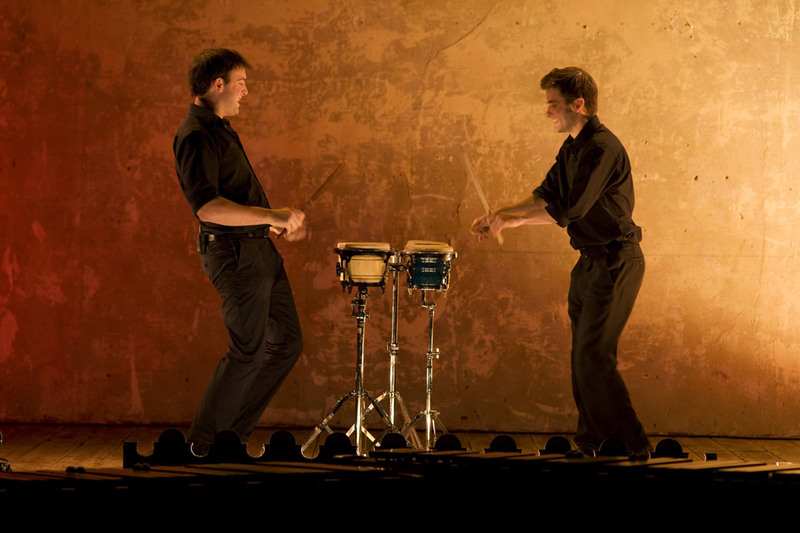 Since O Duo formed in 2000, they have travelled all over the world performing many different programmes both as a duo and in collaboration with various other musicians. 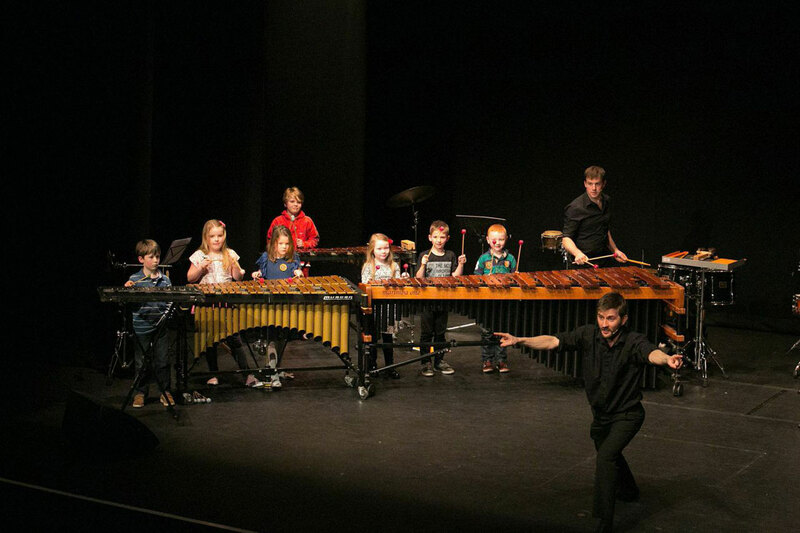 Here is an idea of some of the concerts they can offer, and of course, please feel free to get in touch if you would like to join them on stage for a new project! 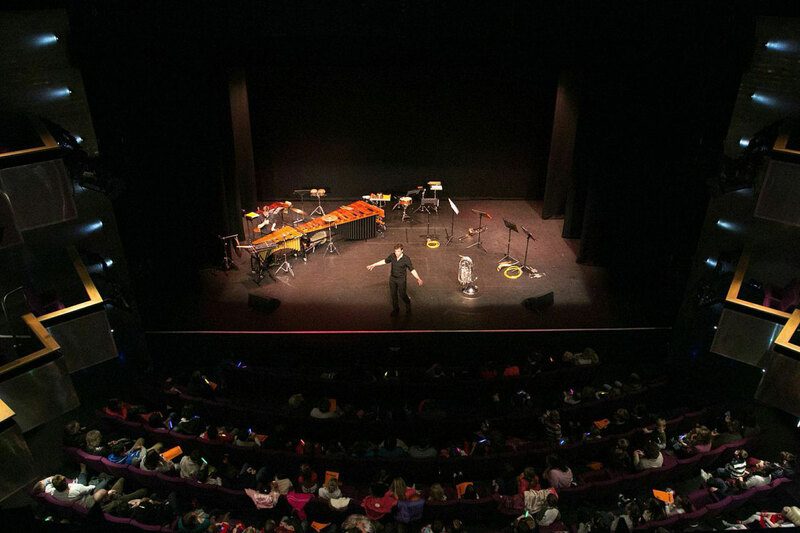 Some of the duo’s first ever concerts were performing their arrangement of Vivaldi’s Double Violin Concerto in A minor, for 2 marimbas and string orchestra! 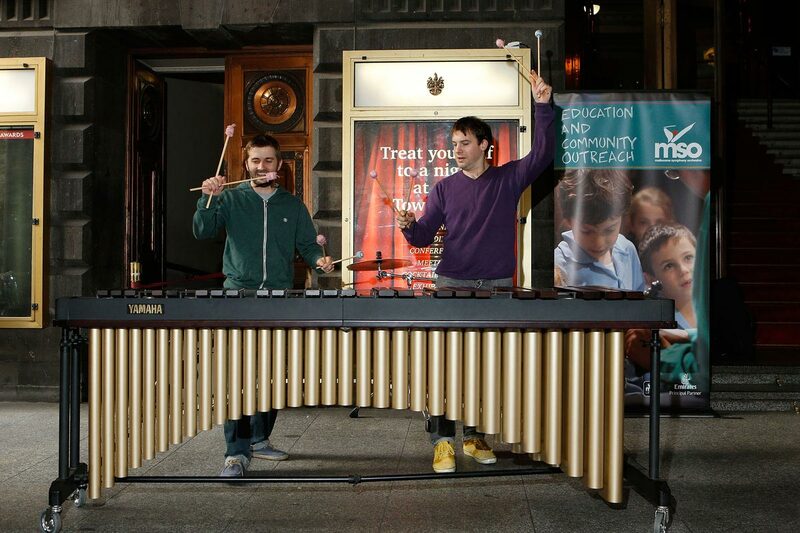 Since then, thanks to a Special Commissioning Award from the Borletti-Buitoni Trust, they have had two more fantastic double percussion concertos written for them. 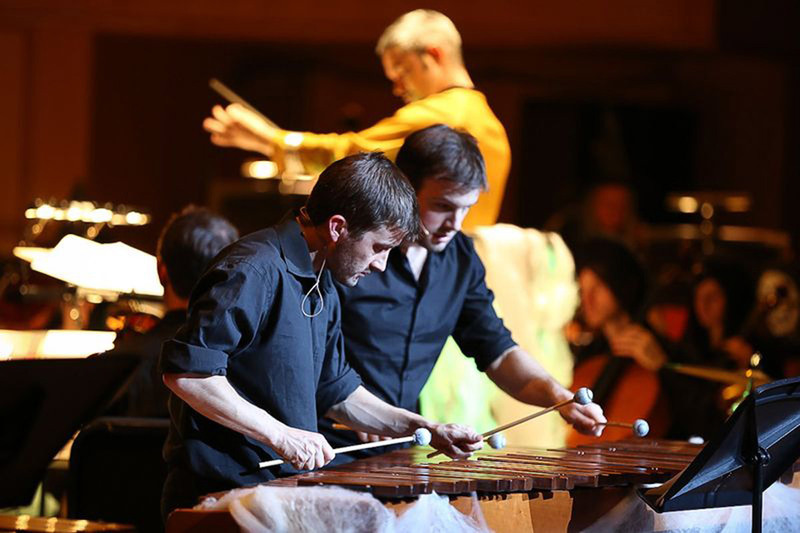 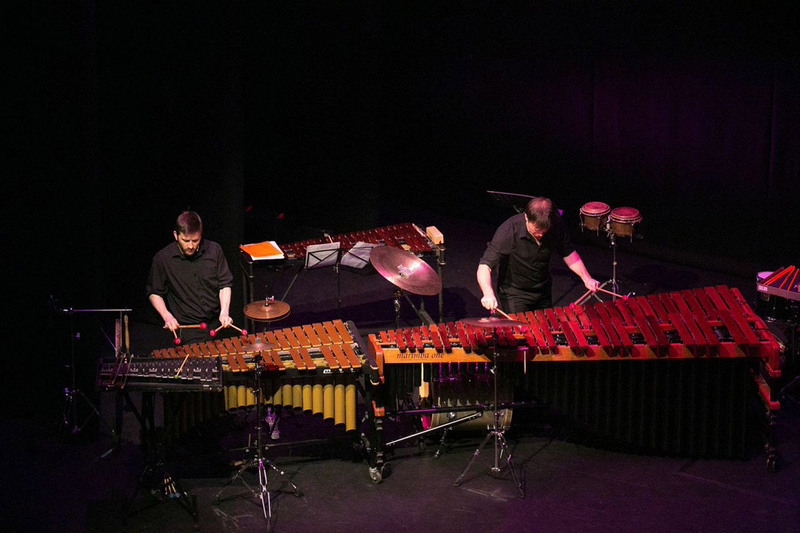 Firstly Stephen McNeff’s ConcertO-Duo, for percussion duo and full symphony orchestra, which was premiered at the Barbican by the BBC Symphony Orchestra for their 80th Birthday concert, and most recently, ‘Breaking Silence’ by Fraser Trainer, written for the duo and chamber orchestra. 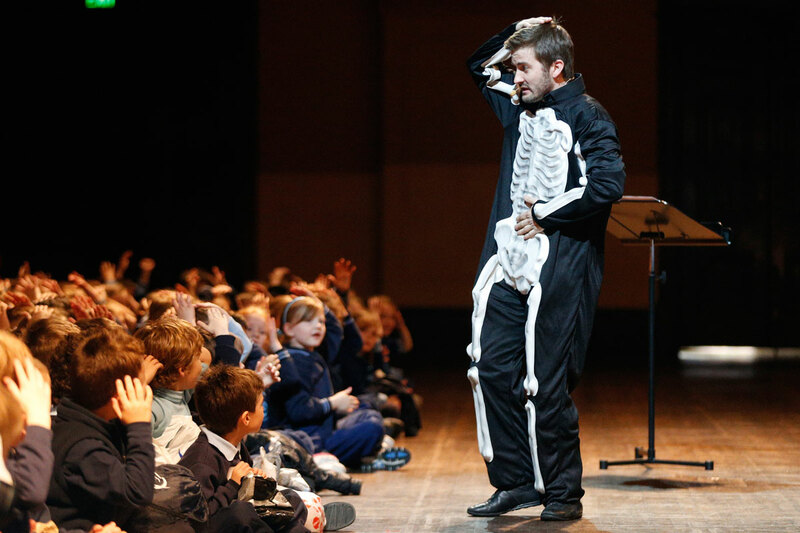 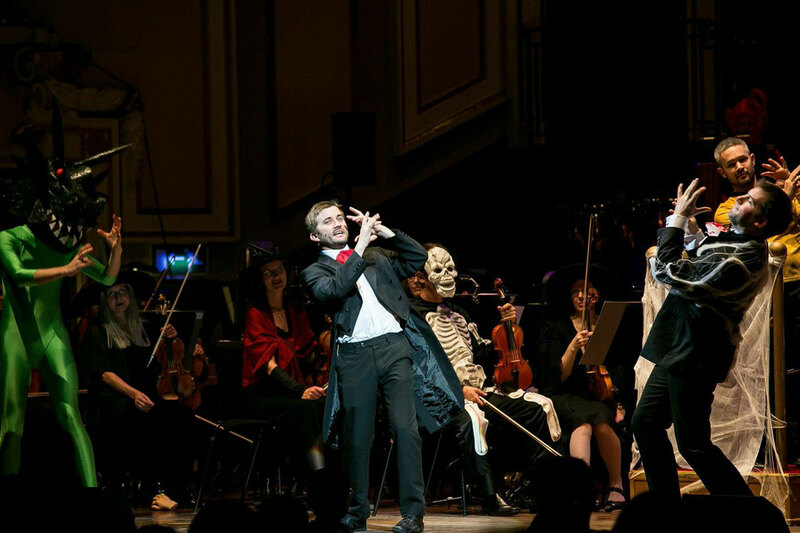 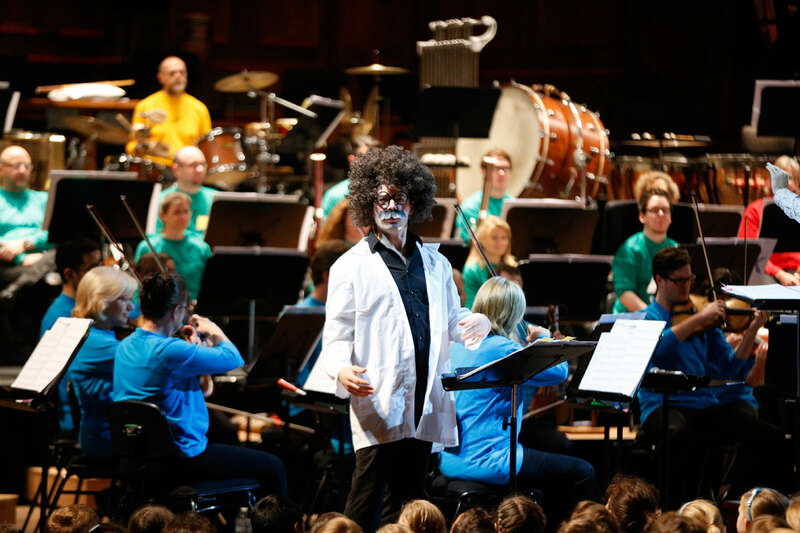 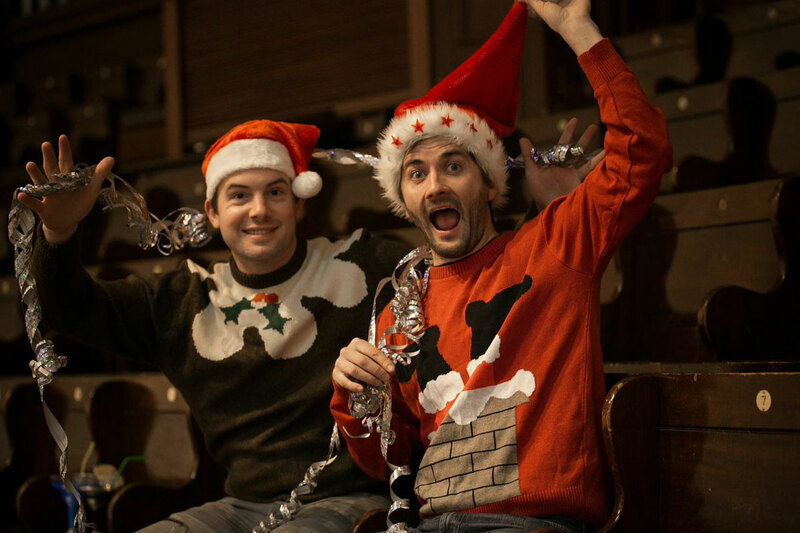 The duo were invited to become the Artistic Directors of Children’s Classic Concerts in 2008 and, in this role, have presented family concerts with most of Scotland’s top orchestras. 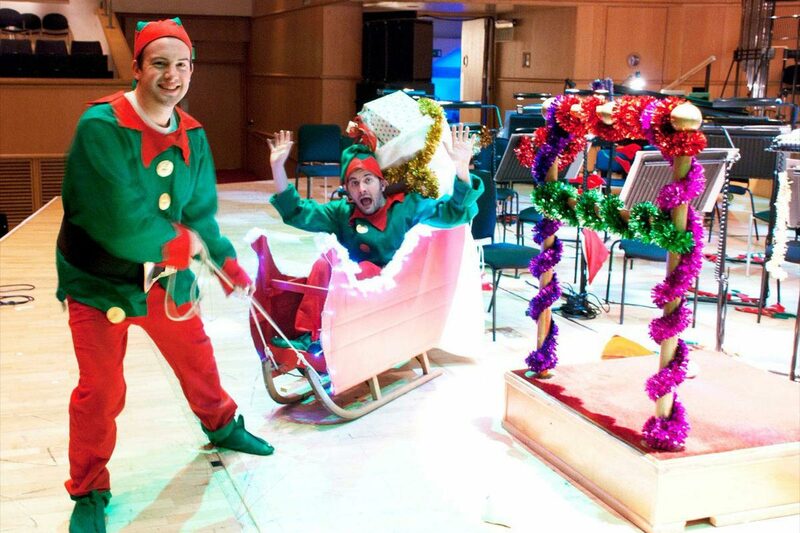 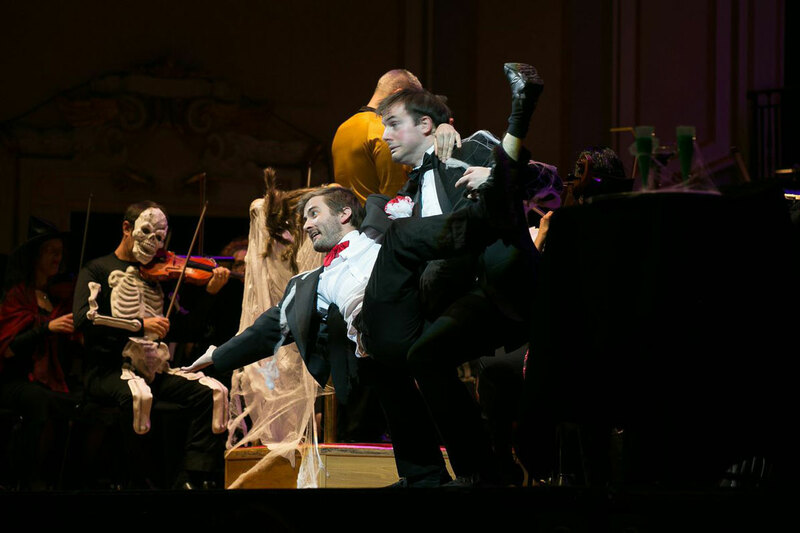 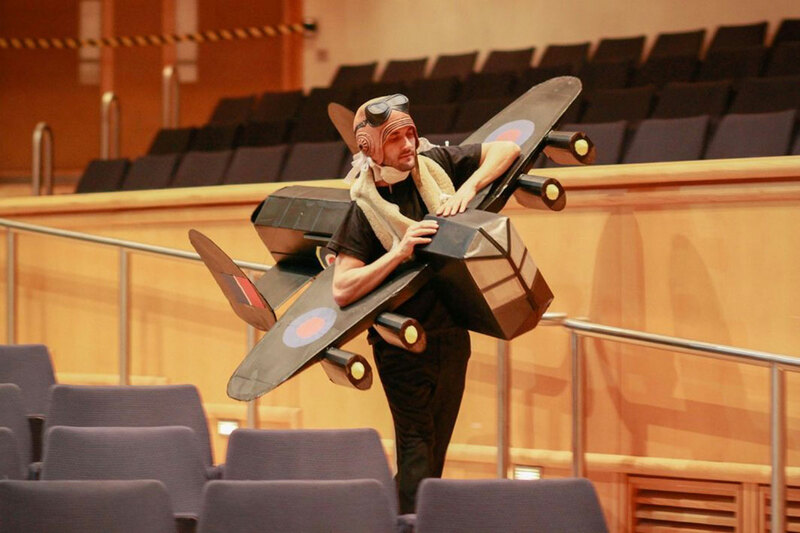 Since 2011, CCC have been involved in a highly successful partnership with the Royal Scottish National Orchestra, and Owen and Olly (as they are known across Scotland!) 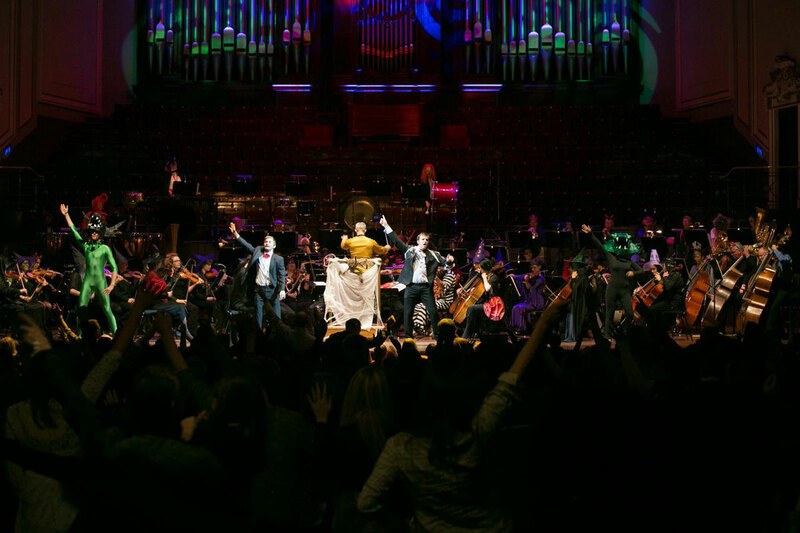 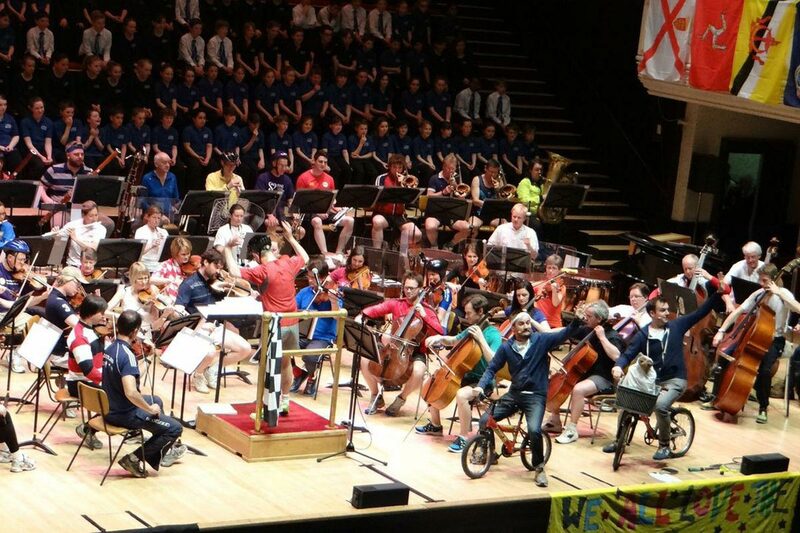 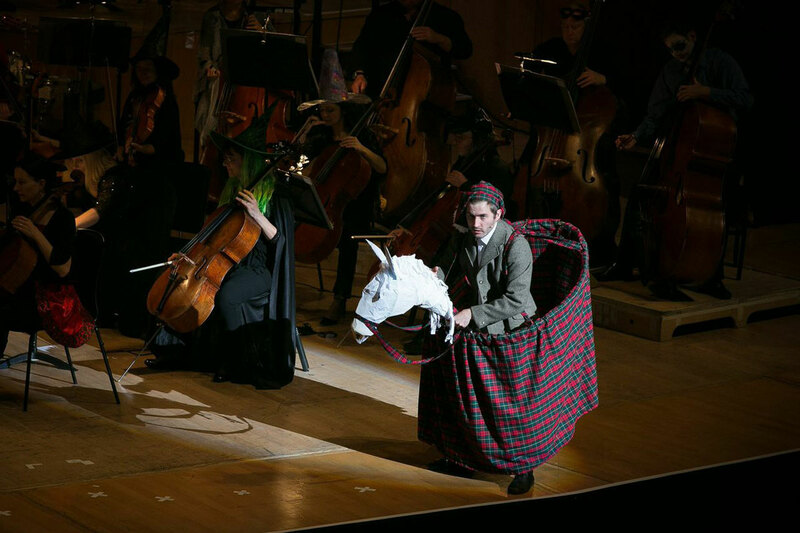 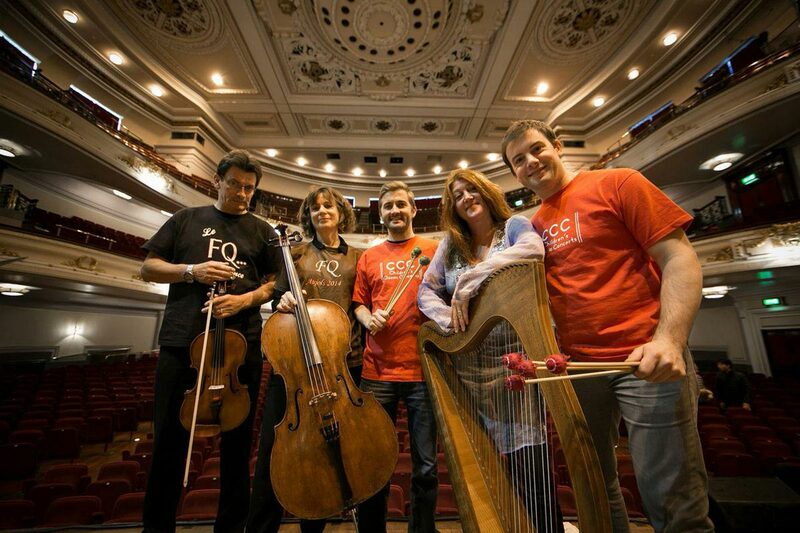 continue to curate and present some of Scotland’s most loved family concerts. 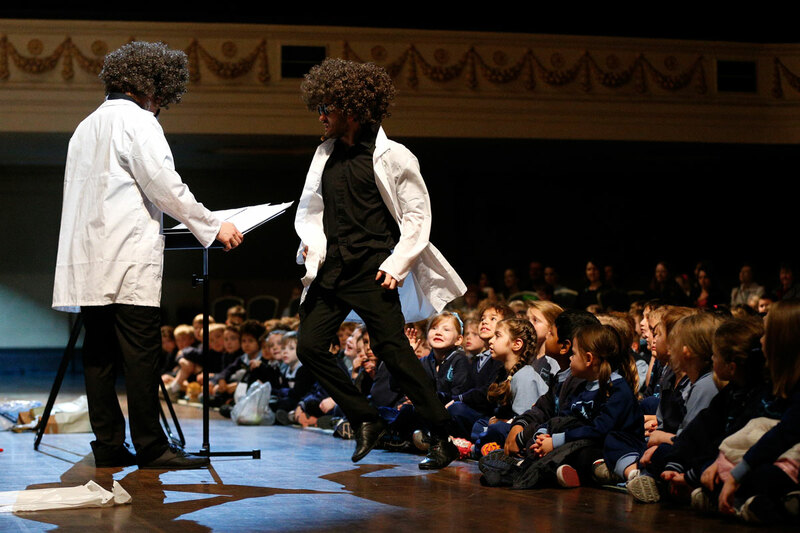 These concerts are a wonderful mixture of music, entertainment and education, presented in the duo’s inimitable style and appealing to the whole family! 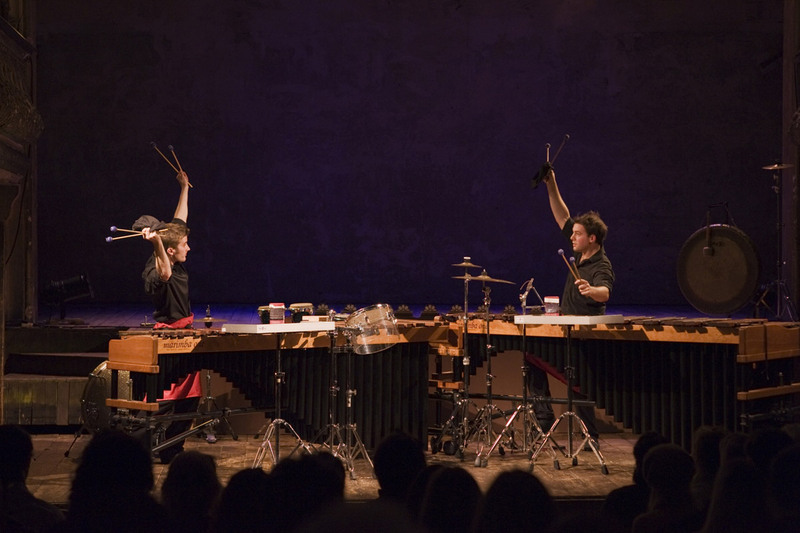 Here are some examples of concerts the duo have curated and performed in over the years. 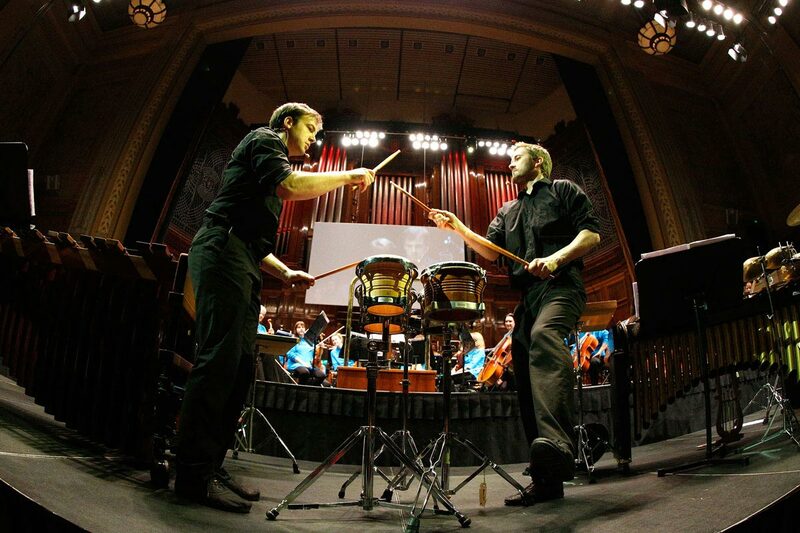 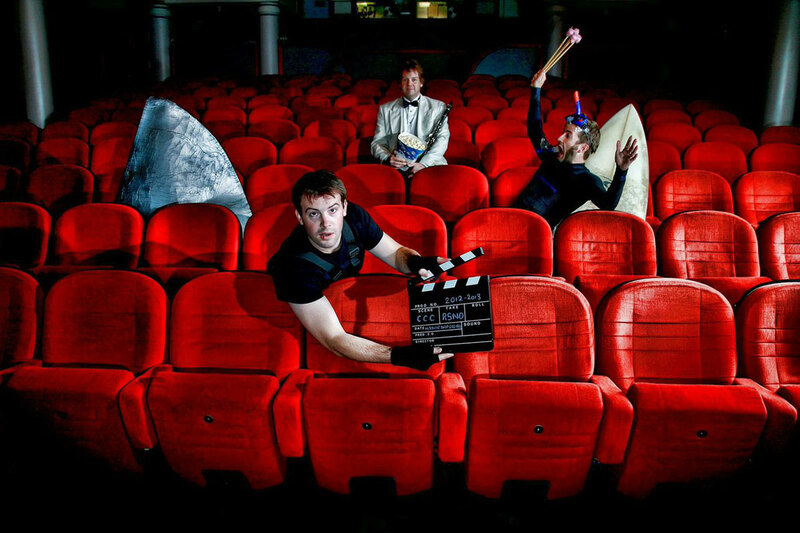 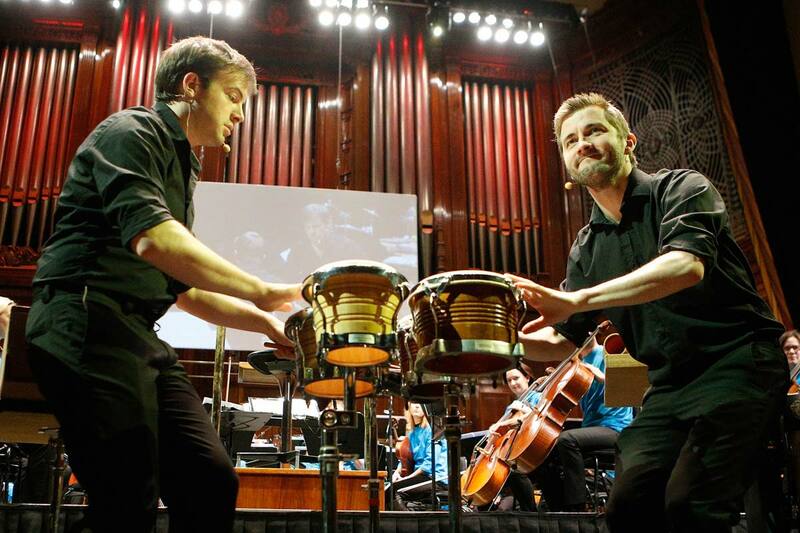 ‘Bongo Fury’ - a percussion extravaganza with the duo, audience participation guaranteed. 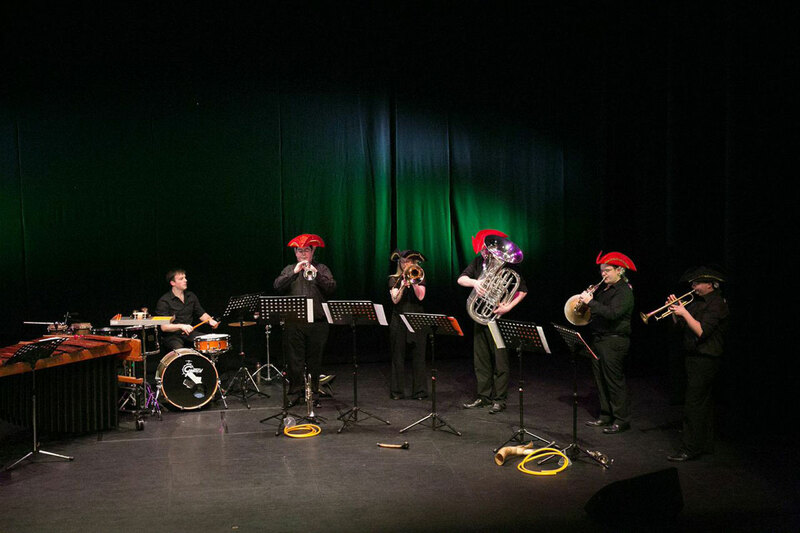 ‘Bongos and Brass’ – percussion duo and 5 piece brass group. 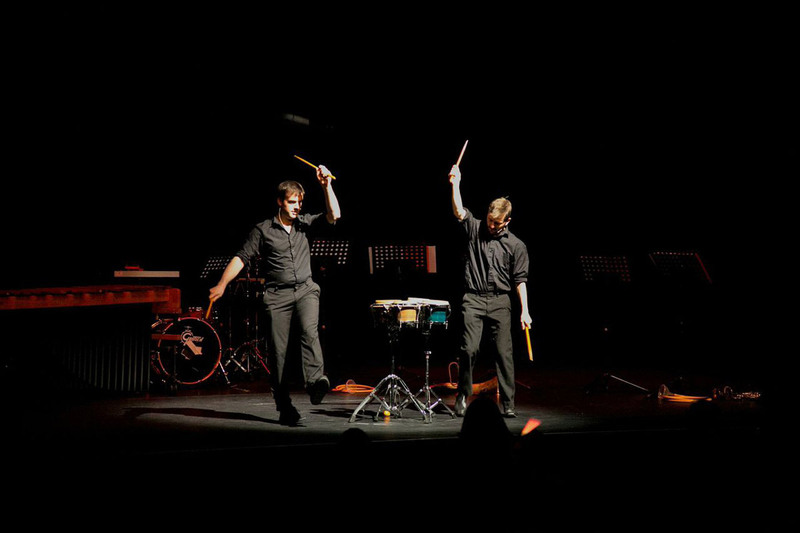 ‘Fiddlesticks’ – percussion duo with string quartet, harp and clarsach. 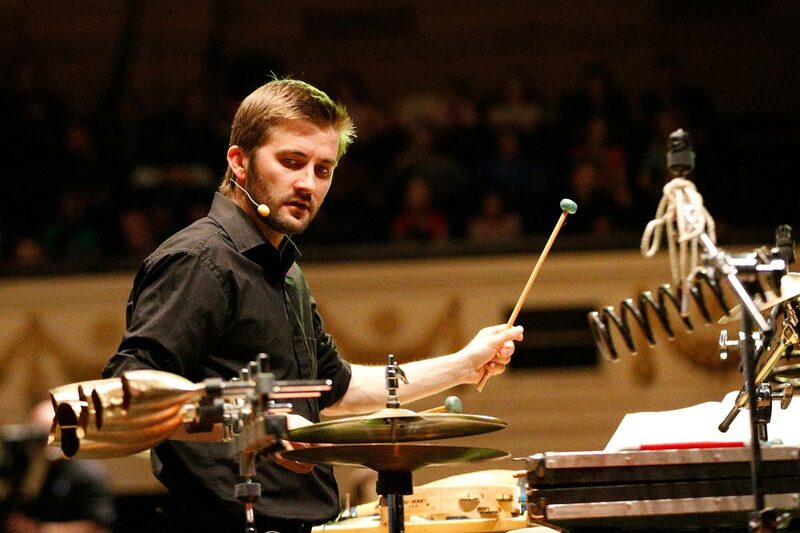 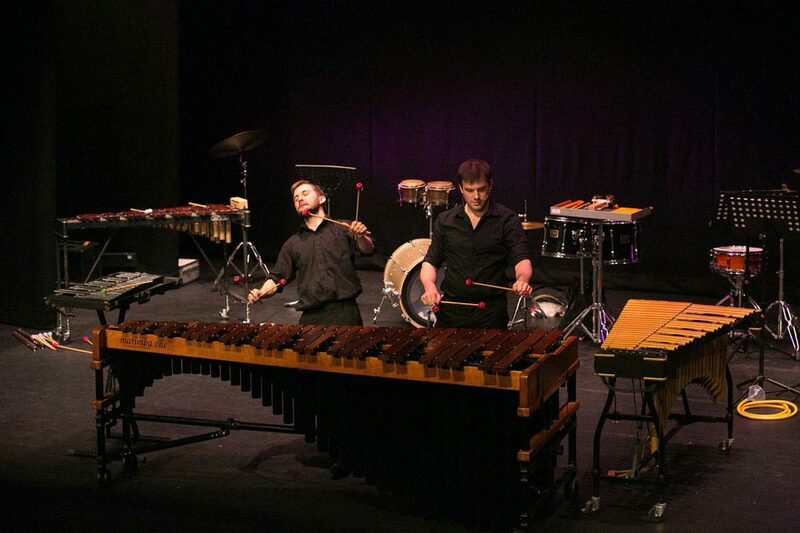 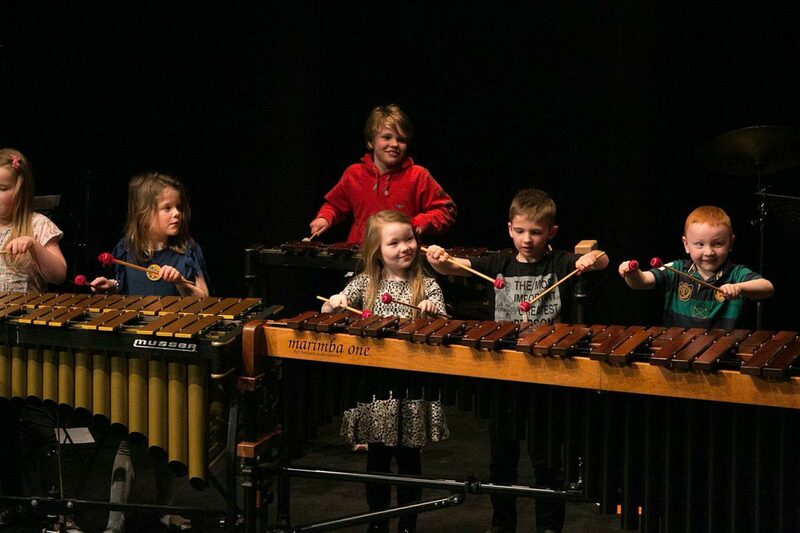 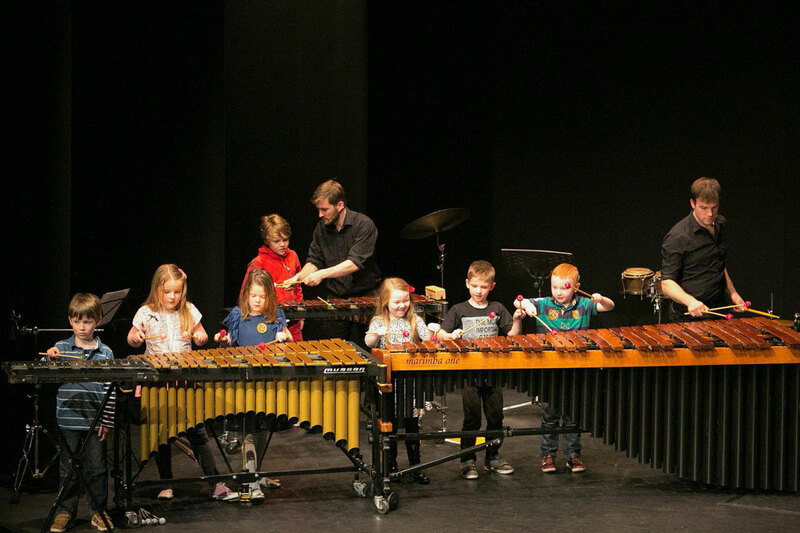 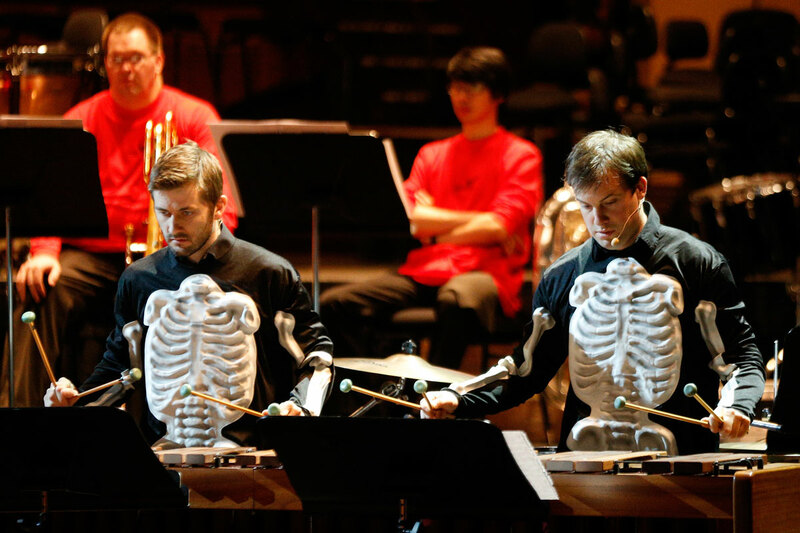 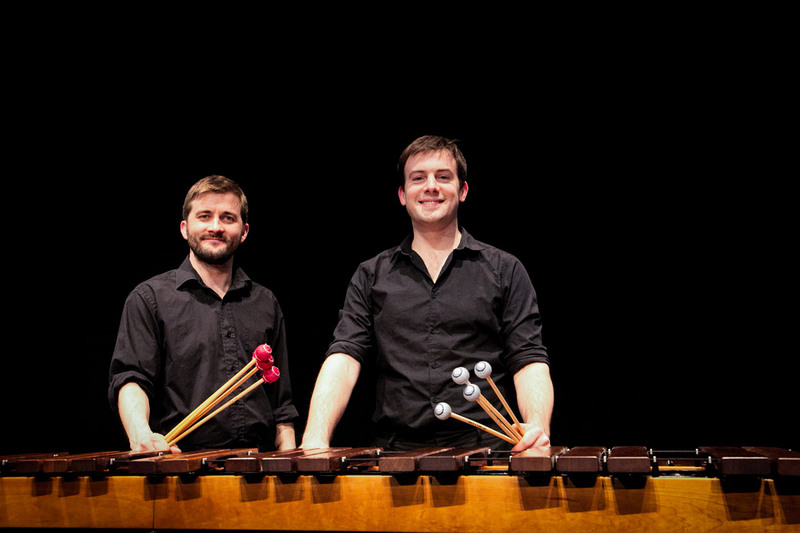 ‘Tom Toms and Tooters’ – percussion duo and wind quintet. 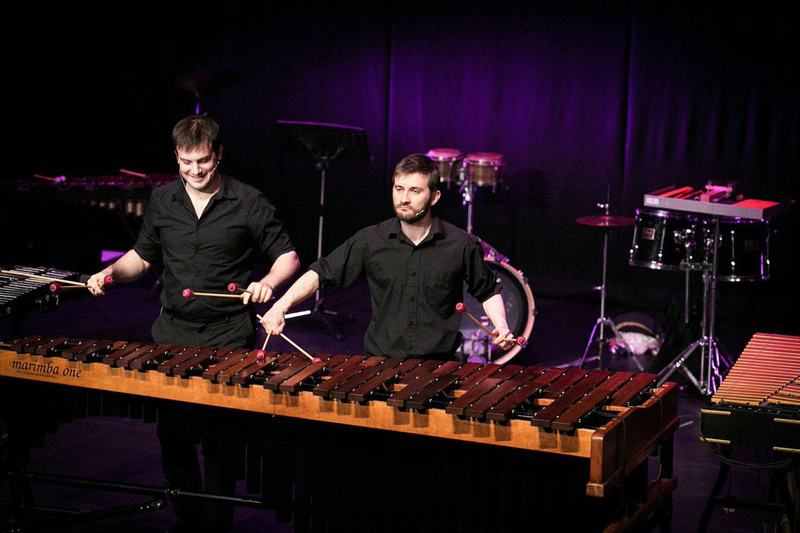 ‘East meets West’ – classical and world music with percussion duo, clarsach, flutes and accordion. 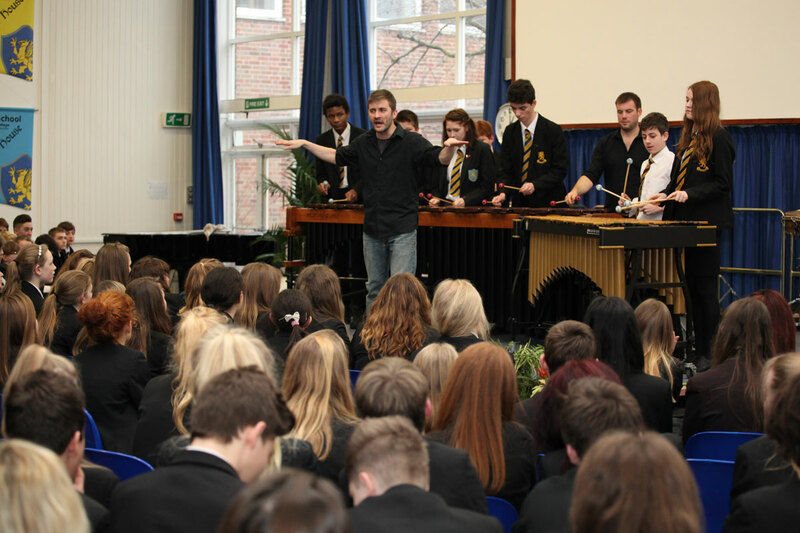 Follow this link to see video footage from some of these concerts. 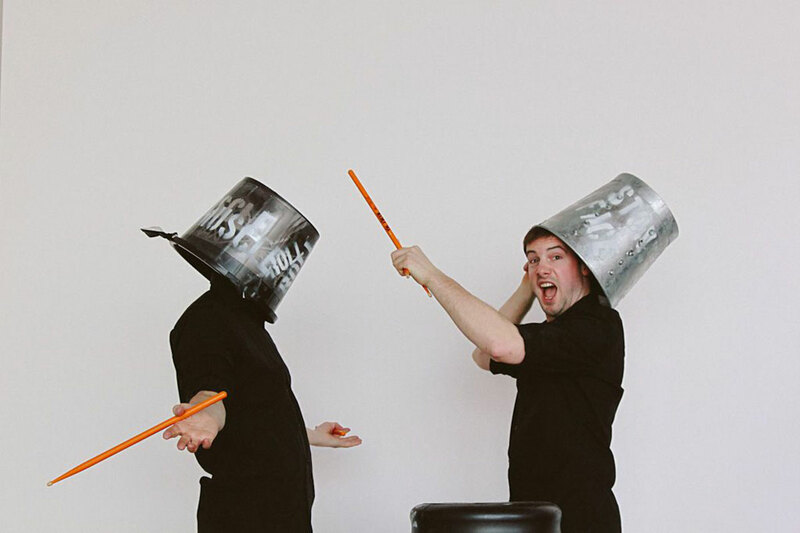 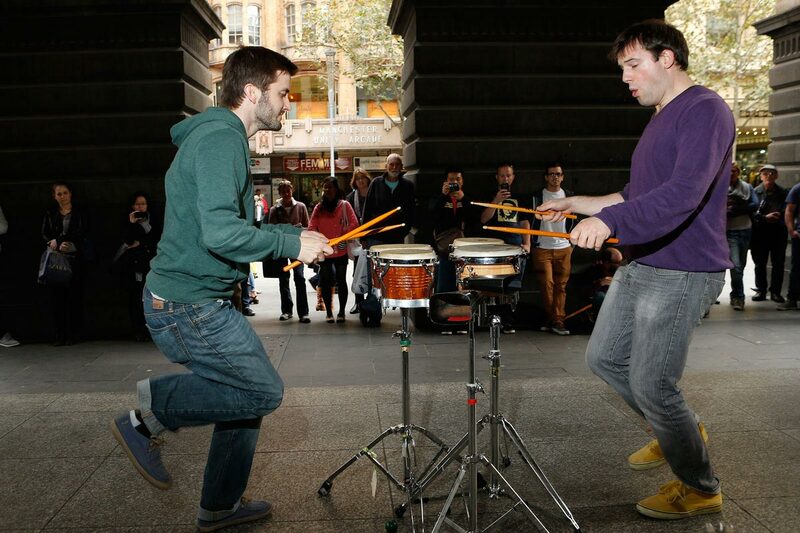 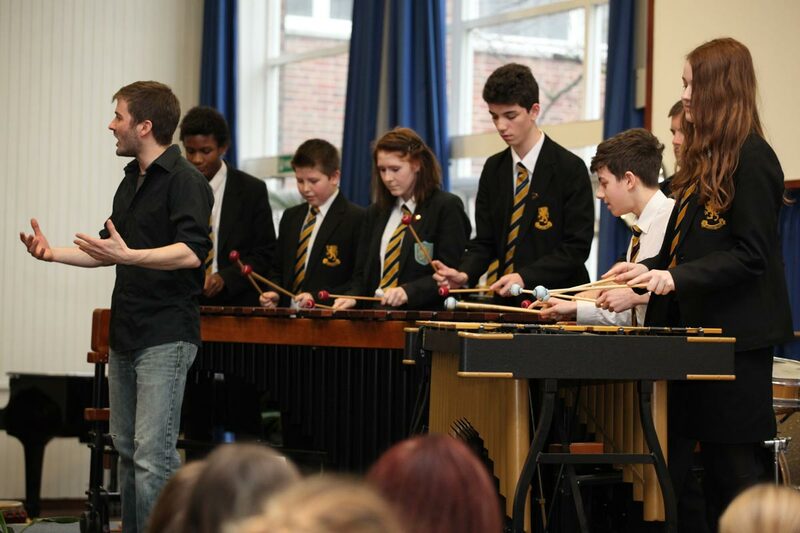 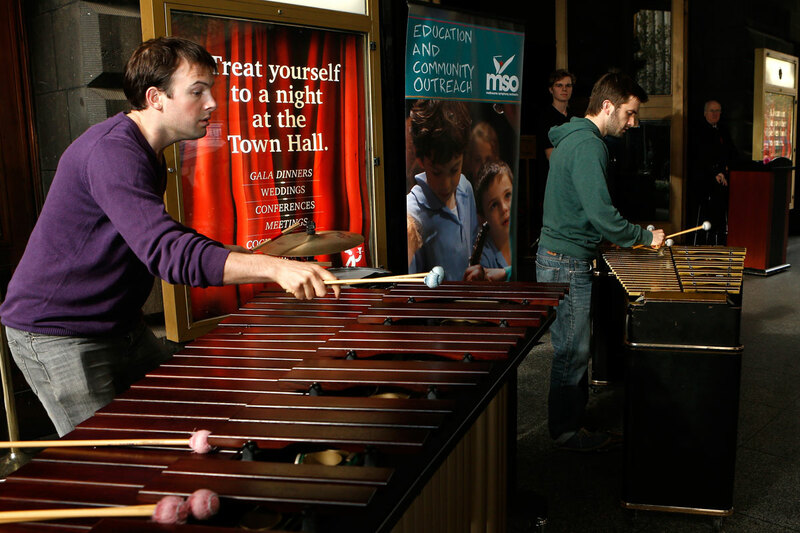 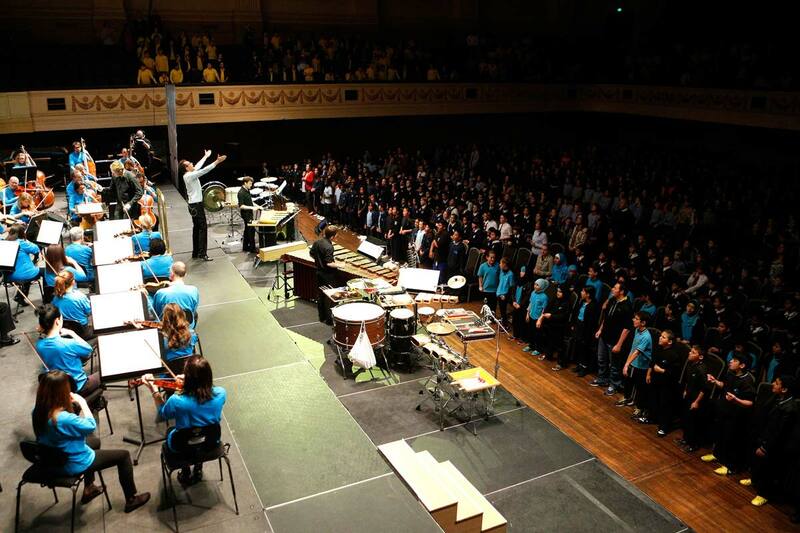 The duo can also offer a variety of drumming or tuned percussion workshops. 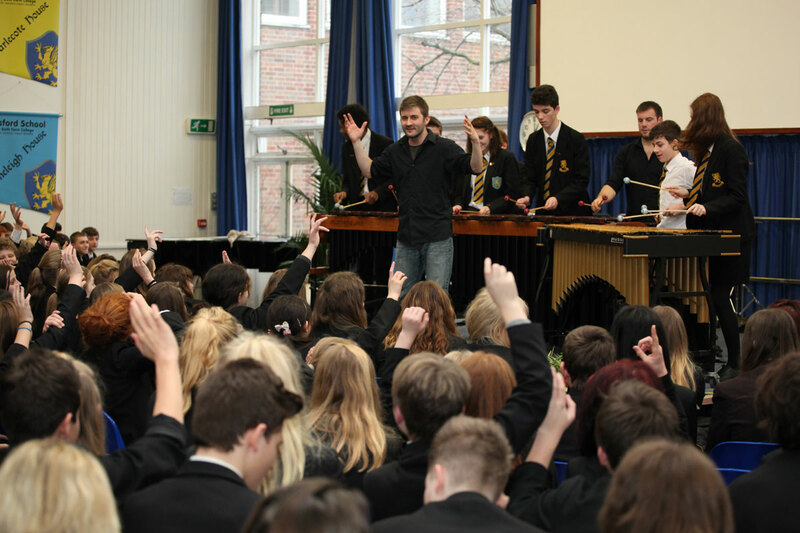 These can be tailored to suit any number of people, of any age.